I’ve been to two different venues for gigs in San Francisco so I feel extremely qualified to say this: they’re pretty. Not the flowers and pastels kind of pretty, they’re way grittier than that. They just ooze a sense of history – both musical and in general. That’s what makes them “pretty” to me. There’s a sense of grandeur, of times past when we invested more money into theatres and the arts, when going out was more of an event than an every-weekend occurrence. Sure, in Sydney we have The Enmore… but I can’t really think of any other beautiful venues. The drummer was wearing an Akubra and a wifebeater… need I say more? Enough waxing aesthetic though and onto Wednesday night’s gig. 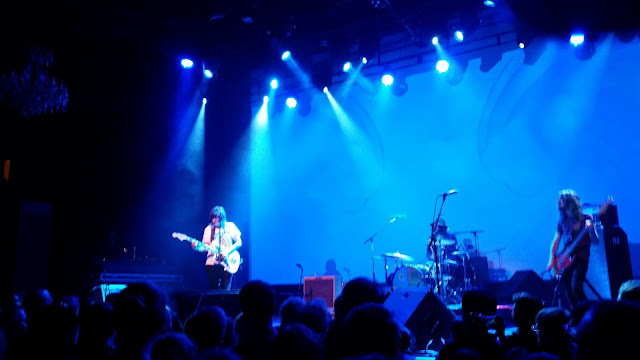 In a fit of extreme nostalgia I decided to see Courtney Barnett at The Fillmore. I say nostalgia because I kind of only really love three of her songs, and even though she’s been getting heaps of good reviews and is going gangbusters in the US, a part of me is still slightly unconvinced. Can I be a total cretin and say it all just sounds samey? I’m cringing as I type that. It seems unfair somehow. Maybe I just needed to be more familiar with some of her stuff. I could listen to History Eraser a million times on repeat. But sitting here thinking about it (because I hate just throwing out a negative blanket statement like it’s truth), Barnett is so different from anything out there at the moment that of course her work is going to seem similar. A total star… in the Australian sense. Luckily the group of mid-40-somethings entertained me in the show’s lulls. I must be really, really naïve. To the point where I was slightly shocked when they lit a joint and shared it in the middle of the show. Maybe the Smoking Ban in Australian venues (which I’m eternally grateful for: one gig at the Annandale Hotel pre-smoking ban almost killed me) has made me soft. Those guys had a good supply but it didn’t seem to mellow them at all. I was stepped on more than once. Perils of the mosh huh? 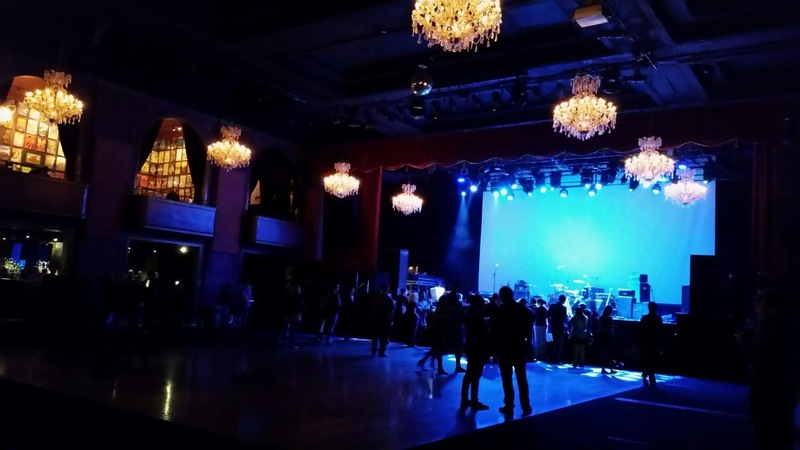 So The Fillmore… I’m in love. Chandeliers, boxes, walls completely COVERED in posters of sold-out gigs past. I don’t think there’s one bit of blank wall space in the lobby or the boxes. The Fillmore was THE PLACE for music in the 60s. Everyone played there – Jimi Hendrix, Janis Joplin, The Grateful Dead and The Who. And they give you apples. As you enter or leave the venue, there’s a tub of apples just sitting on a table in the lobby. Not even lame apples, they’re so red and shiny. Apparently it was a tradition started in the 60s by a guy named Bill Graham who would wish everyone a good night as they left and hand then an apple. And that is why The Fillmore gets five stars. Courtney Barnett gets three and a half. Love that they give you apples – so funny !!! !